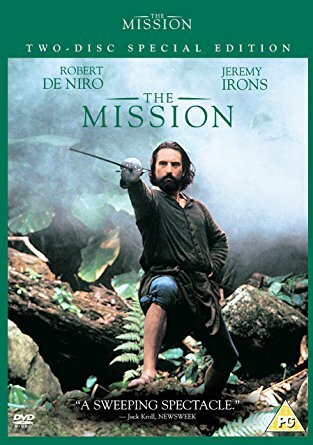 ​Jesuit priest Father Gabriel (Jeremy Irons) enters the Guarani lands in South America with the purpose of converting the natives to Christianity. He soon builds a mission, where he is joined by Rodrigo Mendoza (Robert De Niro), a reformed slave trader seeking redemption. When a treaty transfers the land from Spain to Portugal, the Portuguese government wants to capture the natives for slave labor. Mendoza and Gabriel resolve to defend the mission, but disagree on how to accomplish the task.